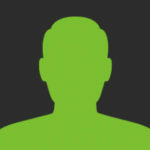 I’ve been using Cohesity’s Helios platform to manage Cohesity assets in our lab for a few months now and wanted to talk about some of the cool features that I’ve been using in my environment. If you’re unfamiliar with Helios, it’s Cohesity’s Software-as-a-Service (SaaS) offering used to manage Cohesity clusters from a web-based portal. I currently use a mix of clustered Virtual Edition nodes, physical clusters, and Cloud Edition clusters in my environment, all of which I can manage from a web browser from anywhere in the world. You can manage Cohesity clusters with Helios running 6.0.1c and higher. 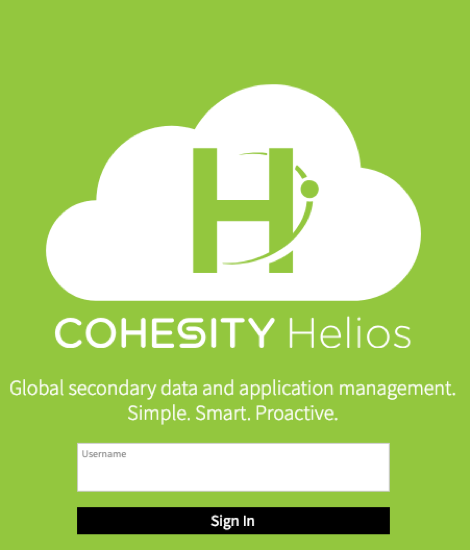 You’ll need to have an account on the Cohesity support site, and your cluster needs to be able to talk to helios.cohesity.com. One of the cool things is that you can also “unclaim” clusters with Helios, removing them from management. Why would you want to do that? 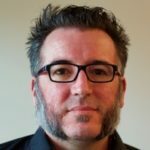 You might be running a number of different clusters in test / development environments to evaluate various Cohesity features. Once you’ve finished testing you might want to remove those clusters from your management and decommission them. This is also a handy feature for managed service providers delivering Cohesity services to customers. If customers decide to leave the platform, removing the cluster from Helios management is a straightforward activity. 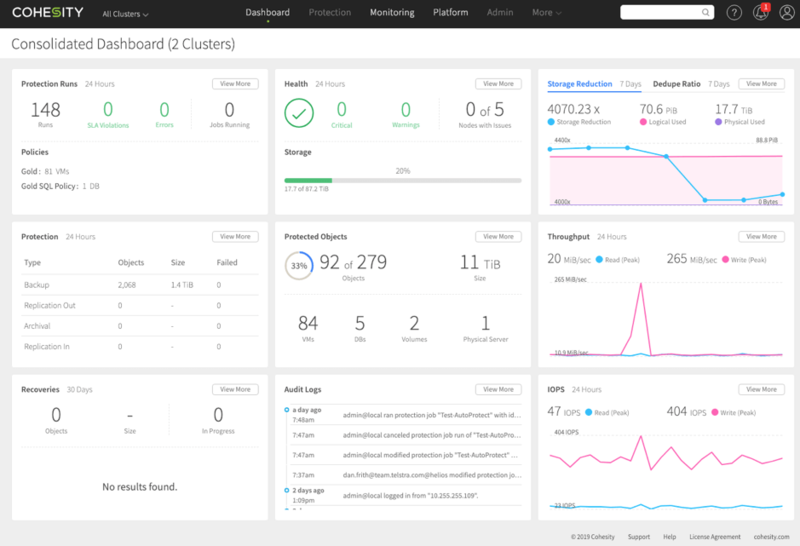 One of my favourite things about Helios, as someone who runs a number of Cohesity clusters, is the ability to access both a comprehensive overview of what’s happening across all of the clusters. It also provides me with the ability to drill down into specific clusters to perform particular tasks or access specific information. Accessing individual clusters is simple, and Helios makes moving between clusters a seamless activity. Helios isn’t just a glorified consolidation point for the Cohesity element manager though. It also provides consolidated access to features such as global search across all clusters managed by Helios. With this, you can search for any object and then take actions such as protect / recover / backup from Helios. If you run more than a few Cohesity clusters, logging in to each cluster to run platform software updates can be a bit of a pain. To combat this, Helios offers support for upgrades of multiple clusters from within a single portal. There’s support for the deployment of Long Term Support (LTS), Feature and Custom releases, and different versions, depending on your requirements, can be assigned to different clusters. You can also choose to deploy the software immediately or on a particular schedule. As you can probably tell, Helios is all about aggregating information in a single view. This works from a reporting perspective as well, allowing you to generate out of the box reports at a global level across all clusters by applying filters. You will also have the ability to generate custom reports by leveraging the ad-hoc reporting capability. Helios also aggregates alerts from all the clusters so that the you can view them in a single place. It’s also really simple to access, via the Monitoring menu. This feature allows you to visualize how one event correlates with a functionality. For example, the addition of a new adapter or upgrade to a newer version can impact performance. This can be visualized using this feature. Helios is all about making things easier to manage, and makes use of algorithms to predict when things like disks will fail. This allows both you and Cohesity support staff to take precautionary measures before failures become a problem in the environment. Have you ever been caught short with capacity in your backup environment? You might have had a project come along with some new application or data set that needed to be protected? With capacity prediction in Helios, there’s no more guessing when you need to upgrade your environment – the cluster lays it all out for you. One of the primary benefits of SaaS-based solutions is that you don’t need to roll out code to individual devices in order to leverage new features and functionality. The SaaS provider does all the code updates for you, and you just need to worry about the devices being managed by the solution. Helios is still in its early stages of development, but the great news is that there’s already a lot of capability to be had in the core product, and new features are being rolled out on a weekly basis. If you’d like to hear more about Helios and see how I’m using it, join myself and Jon Hildebrand on a webinar on January 29 where we’ll do some live demos and talk about managing secondary data in the real world. Register here. Dan Frith is a Cloud Product Architect at Telstra.